GER to GER REVIEW – ANNUAL SUCCESS RATE – What do 3,000+ Say? Home/Mr. Zanjan Fromer - Travel, Films, Evaluations, Fair Play, etc., Blogs/GER to GER REVIEW – ANNUAL SUCCESS RATE – What do 3,000+ Say? GER to GER REVIEW ANNUAL SUCCESS RATE: What are the Real Numbers? Whats the Real Truth? ETHICS QUESTION: does a total 13 online Trip Advisor and Lonely Planet Complaints over 6 years out of 3,000+ “non-complaints” justify sabotaging a Humanitarian Organization? 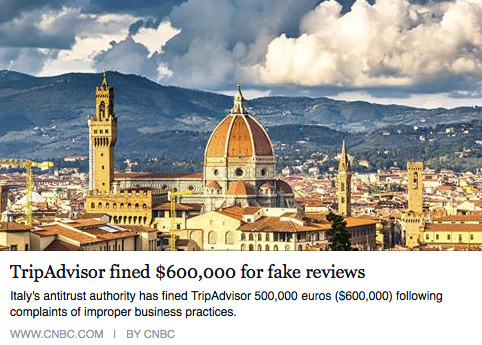 internationally that have provided numerous false reviews on Trip Advisor and Lonely Planet… Of which is now become an international news owing to the Italian Tourism Association fining Trip Advisor $600,000 USD after an extensive 7 month investigation into Trip Advisor practices to which they uncovered numerous fake and false reviews. This review of the situation is being officially provided as a means to ensure future travelers and business partners that the safety of travelers, rural communities and nomadic families is of paramount concern to our GER to GER Agency and Foundation. As we are not providing personal details of people, this review should not be interpreted as being an attack on anyone given individuals but rather GER to GER is providing contextual review to an online situation involving less than 1% of GER to GER’s travelers over a decade that some find confusing; I know I would hence I am taking a proactive stance on this matter. GER to GER supports legitimate client feedback, reviews and complaints as we consider them Lessons to be Learned that we use towards our social economic development materials with rural communities throughout Mongolia; a practice that we use towards advancing social economic development. GER to GER is concerned about the non-client reviews, competitors submitting false reviews and pretending to be clients, and “put a hair into the cheeseburger and scream about it online and offline” client reviews that unethically try to get money back by their slander and defraud activities against Mongolian nomadic families, rural communities and our Humanitarian Organization that cost us tens of thousands of dollars in non-billable hours to correct and in loss of business that we are concerned about. It would seem that most of those providing extreme online/offline complaints or reviews about GER to GER (less than 1% of our total travel clients) are mainly backpackers that traveled on 5 to 7+/- day trips with rural nomadic families costing between $200 to $400 dollars – bare minimal trips for low budget travelers that provided them all with mid-budget experiences that included all food/drink, transportation, activities, horses and etc., and despite the massive cost saving provided to these backpackers they still tried to defraud the nomadic families out of $20 to $50 dollars in our office and later go online an give horrible reviews about GER to GER if they weren’t successful in defrauding nomadic families. When GER to GER didn’t agree based on the lack of verifiable facts and evidences (they didn’t provide in accordance to our policies – 100% ‘hearsay’) they have resorted to pursue their defamation, slander and defraud online which all their reviews are well documented. Also let it be noted that GER to GER clients that did provide all requested documentation in accordance with our policies, GER to GER has honored all with ethical refunds – less than 1% of total GER to GER Clients have requested some sort of refund. It’s important to put all the online and offline reviews into proper contextual ‘timeline’ in order to have a greater appreciation and a better methodology towards carrying out a ‘proper’ GER to GER Review. Hence, I prefer to provide a little historical background about Mongolia and GER to Ger and then work into introducing various subject matters. First, we have to consider the countless and vast differences between cultural service and costumer service… this is not an excuse, it is a reality. It took Taiwan 100 years to develop a culture of Customer Service – Post Soviet Mongolia is now only in its 25th year and they still have not properly addressed all the language and learning related issues throughout the country that allows a more effective and rapid methodology for them to adapt a Western/European style “Customer Service and Standards”; hence the World Economic Forum still gives Mongolia the status of a “Country in Transition” and not “Market Efficient”… My honest opinion it will take them at least another 25+ years till the country’s population nationwide begins to understand and comprehend what we take for granted in our western and European societies. More than a million dollars have been directly injected into Mongolia’s local economies. Extremely remote nomadic communities have been systematically included into the initiatives sustainably. Costly outreach health initiatives that benefit a few hundred nomads/locals have been enhanced to reach between 4,000 to 5,000 at 1/10 the traditional cost. Diversification of rural job markets owing to increased level of demand on supply and value chains. Today over 6,000 international travelers have been trained on Responsible EcoTravel and GeoTourism; to which rural health and safety has been maintained well above 99% since 2005 till today. Today, owing to our successful operations and benefits being generated across Mongolia and more – GER to GER has been international awarded and honored, numerous times, by the World’s top Agencies, Associations, Societies, and more. GER to GER Review – Thousands of Clients Over 9 Years – Less Than 1% Have Gone Online Negatively; That’s Success! As of today, GER to GER has had 6,000+ travelers – of which less than 1% have gone online and extremely tried to slander the organization over the past 9 years… and personally I strongly believe that says a lot – its a testament to the successful operations of Mongolia’s rural communities. Granted, they still have a lot to learn but taking into consideration that this is the first time in Mongolia’s history that they are establishing an “open market economy” and 99% of Mongolia’s rural population has no idea what that means as their language is still outdated – they are doing their best. Complaint were gathered from two of the most World-Renown Travel Websites for this quick research and analysis, being the most well-known and used across Planet Earth – this becomes the top-tear nodes to conduct a real analysis for further interpretation. GER to GER, over 6 years and 3,000+ clients had an average 99% success rate “non-complaint good enough status”. Actual GER to GER Review in Lonely Planet and in Trip Advisor, contextually, were a bit extreme and I am sure that there is 3,000+ people who will vouch that our staff is often pretty good at our works. I had maintain close watch on a few People that tried to unethically harm and sabotage GER to GER’s name internationally/domestically – their posts still remain online and they are not clients of GER to GER nor do we know who these people are… Mainly a person who goes by the ID of “PixieTravelsAgain” – Hong Kong, China and a few others seem to really wish to sabotage our works here in Mongolia for some reason that I am not aware of… and they have succeeded as demonstrated by the decreased clients numbers received in 2014 which has jeopardized our Humanitarian works throughout Mongolia this 2014-15 owing to the lack of finances. 8+ Travelers are actually online defrauding GER to GER’s nomadic families and rural communities. 5 Travelers had some difficulties and we have shared their concerns with the community members. Please kindly note that 13+/- authenticated client complaints (well below 1%) over 6 years out of 3,000+ successful operations does not justify intentional sabotage of our Humanitarian Organization and online fraud when taking into consideration there are well over 3,000+ non-complaints. Please also kindly not that most authenticated complaints were not issues of $1000s of dollars, it was mostly centered around a handful of people (mainly backpackers) defrauding nomadic families and trying to force us to return $20 to $50 USA dollars from already extremely low budgeted trips ranging between $200-$400; one week all inclusive (food, accommodations, cultural activities, horseback riding, nomadic guides, etc.). One of our worse memories was having a young lady blow up at my humanitarian staff members over 5 cents! I have noted that more than a handful of online complaints are those who continue to pursue theie fraud activities are generating ‘unlawful hearsay’ and defamation both locally and internationally via Thorn Tree and Trip Advisor without submitting any facts nor verified evidence to our Agency (as we requested in accordance to our Policies) nor to anyone else. Anyone can easily research and review that most of GER to GER’s online independent ‘solo’ trips are often priced cheaply as we are only charging “value for money” as we are humanitarians with ethics; its overly disappointing to read such reviews knowing how much they were served by the rural nomadic families. I am a strong proponent of “evidence, facts, etc.” and I am 100% against “he said, she said”; I love both criticisms and praises as I am a humanitarian that knows growth arrives in many forms and lessons. But what discourages even the best of us humanitarians is the fact-less slander, defamation and continuous defraud that goes unverified and unchecked by Trip Advisor and Lonely Planet’s Thorn Tree forums. Once its listed in their forums, it often goes undisputed as “facts” and even these companies, especially Lonely Planet’s Thorn Tree, will often not allow Organizations to provide the facts as they delete our Posts to which damages Good Standing businesses and humanitarian organizations. I would state that this is actually a huge issue of liabilities for Trip Advisor and Lonely Planet’s Thorn Tree as they actually condone environments of unethical defamation and defraud without Due Process and Due Diligence; I am not against such forums but I do advocate Responsible Tourism. At the end its a question of ethics, why are Good Standing businesses being blocked from providing posts that contain facts and evidence while they continuously allow defamation, slander and defraud? I am a strong proponent of “evidence, facts, etc.” and I am 100% against “he said, she said”; I love both criticisms and praises as I am a humanitarian that knows growth arrives in many forms and lessons. But what discourages even the best of us humanitarians is the fact-less slander, defamation and continuous defraud that goes unverified and unchecked by Trip Advisor and Lonely Planet’s Thorn Tree forums. Once its listed in their forums, it often goes undisputed as “facts” and even these companies will not often allow Organization to provide the facts as they delete our Posts to which damages Good Standing businesses and humanitarian organizations. I would state that this is actually a huge issue of liabilities for Trip Advisor and Lonely Planet’s Thorn Tree as they actually condone environments of unethical defamation and defraud without Due Process and Due Diligence; I am not against such forums but I do advocate Responsible Tourism. Please kindly understand that I am the first person to “not” interfere with the expression of people’s opinions. I think I have highlighted that quality by not negatively engaging into online criticisms over the past few years as I am a strong supporter of the “freedom of speech”. Nevertheless, I have read through some articles and blogs online and I am delighted to see that out of 6,000+ travelers there are only a small handful (less than 1% of GER to GER’s total clientele) have gone online to defraud our humanitarian organization to the extreme levels. Which brings up an interesting topic questions concerning “content liability” for LonelyPlanet and TripAdvisor and association to content that is “defrauding” GER to GER as they allow to remain on their websites without verifying the content nor providing evidential facts that support the online posts. It would be my dearest with that such internationally renown Travel Information companies would take proper Fraud Protection more seriously for themselves and their partner companies around the world; seeing that we alone have been associated with Lonely Planet for 6 years. GER to GER Review – Do You Ask Yourself Questions? The list is long and dates back 5 years, its easy to see those that are balanced are often true clients – I respect their views and as for the one that are extremely aggressive – well they have their agendas and reasons. I am not writing to condemn their behaviors both in our office and online but rather wishing that Lonely Planet and Trip Advisor would kindly consider taking more active role in accountability to verify the truthfulness of what is being reported – is it true, is it exaggerated or is not true at all. GER to GER in order to ethically combat such unethical fraud attempts we keep ‘contracts’ of our clients in order to protect everyone’s interests I.e. Health, travel insurance coverage, etc., including some people’s attempts a committing defraud. From our observations, we have noted that 13+/- complaints were contracted GER to GER clients (well below 1%) and from these only a handful are considered to be actual clients as for the rest – they are actually non-clients and are committing online fraud that is actually punishable by USA IC3.org – Internet Crimes as they do not have any tangible evidence to support their slander and fraud claims both online and offline. We have not issue with clients making fair and just complaints hence our lack in involving ourselves in every comment or complaint that clients may have… as we are strong proponents of the Freedom of Speech. However, when a handful of people via ‘hearsay’ – without any supportive facts and evidence go offline and online to defraud GER to GER nomadic families across Mongolia and me, the Founder, we have no choice to turn to legal authorities to properly seek assistance in handling these cases. For the past few years, I have read numerous times that “Zanjan Fromer the American is making all the money…” and even worse cases of public defamation all over the internet across via Trip Advisor, Lonely Planet, etc… Despite reading this type of derogatory remarks, I have yet to really comment on this matter as I didn’t want to come across as being oppressive or dominant… So imagine patiently holding your breath over the past few years as numerous people around the world continuously and intentionally insult your honor/works by providing false information to the greater public. It’s not an easy task to just try to ignore the situation especially when results are everywhere (online/offline) – which should highlight my patient personality. How long has this been going on? Prior the last few months of me going online from time to time, I have been the target of attacks as a humanitarian overseas for around 5+ years now. What are the Real Numbers? Whats the Real Truth? Does a total 13 online Trip Advisor and Lonely Planet Complaints over 6 years out of 3,000+ “non-complaints” justify sabotaging a Humanitarian Organization and its Humanitarian Founder? Our financial documents are audited by the Mongolian Tax Authority. So the concept of our Agency and Foundation participating in corruption or corruption like activities is extremely saddening to hear and read as such comments go publicized on social media forums like TripAdvisor and Lonely Planet without any fact checks which damages our Humanitarian Organization’s name and ability to sustain itself. GER to GER Review – Accountability? What most people do not understand, when we go online to complain is it often understood there is always going to be good and bad reviews – granted. Such online reviews do not generate hate crimes, stalking, harassment, and worse in the western world – however, in post socialist countries it does and also it generates 1000s of Human Rights Violations. In addition to the above, who in Mongolia will be held responsible for the past 5 years of 1000s upon 1000s of systematic human rights violations carried out against this USA Humanitarian in Mongolia? The United Nations Universal Declaration of Human Rights (UDHR) has been signed and ratified in Mongolia law, but regardless Mongolia still behaves like the “wild west”. Once again, how is it that a small handful of people, 13 +/- (well below 1%), out of 3,000+ clients can control the fate of not only our Agency and Foundation but more overly destroy so many nomadic families’ incomes throughout Mongolia? Regardless, we will continue to work in 2014 and endeavor to continue GER to GER Agency and Foundation into 2015 as we are very passionate about our Humanitarian works and do hope that many more travelers, travel agencies, donors, sponsors and philanthropists will cooperate with us this season! By Zanjan Fromer|2017-02-24T11:13:38+00:00September 8th, 2014|Mr. Zanjan Fromer - Travel, Films, Evaluations, Fair Play, etc., Blogs|Comments Off on GER to GER REVIEW – ANNUAL SUCCESS RATE – What do 3,000+ Say?